This morning we enabled two new themes that are designed to support online magazine like formats. The first is the Apostrophe theme. 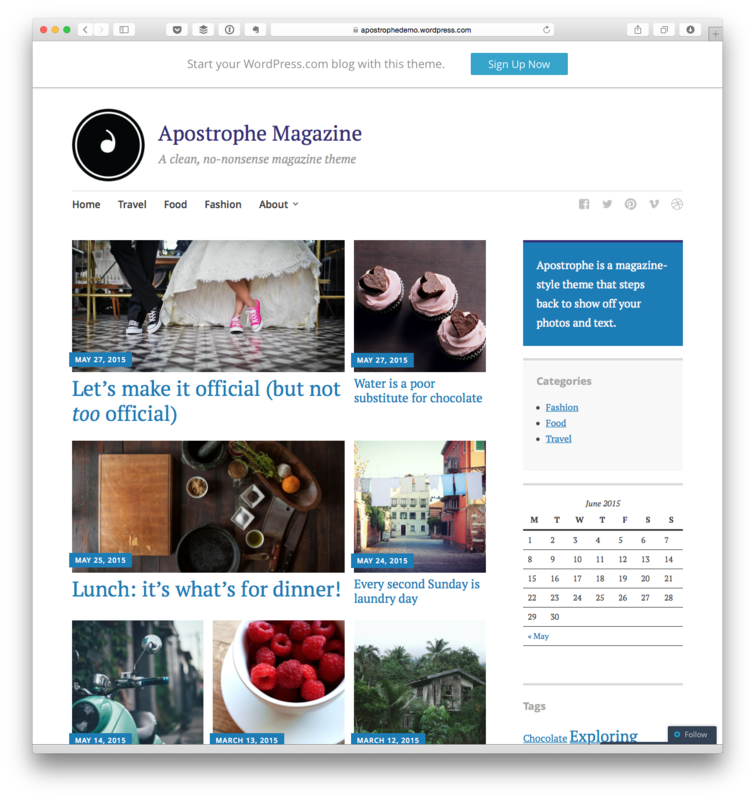 Apostrophe is a fully responsive magazine theme that’s a pleasure to read from any device. It offers clean, easy-to-read typography paired with a modern, minimalist design. Choose from a single-column layout, or make use of multiple sidebar and footer widget areas. Highlight your best posts to add variety and interest to your homepage, and showcase your social media links at the top of the page. The second theme is the Canard theme. 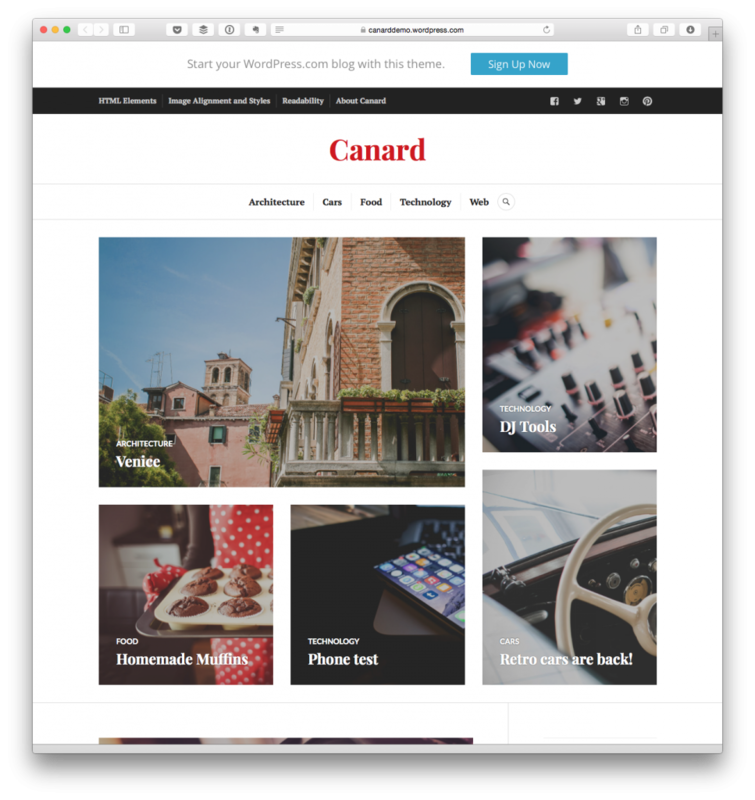 Canard is a flexible and versatile theme perfect for magazines, news sites, and blogs. It lets you highlight specific articles on the homepage and balances readability with a powerful use of photography — all in a layout that works on any device.